LASIK is an operation on the front of the eye, the cornea, to correct spectacle power like shortsightedness and astigmatism. 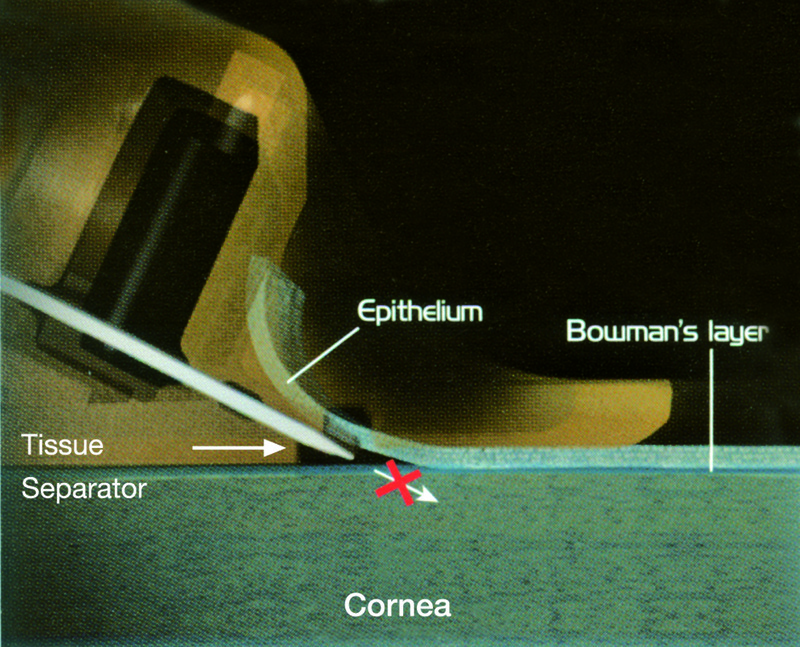 During this surgery, a thin layer of the cornea (the flap) is partly separated and then an excimer laser is used to reshape the front surface of the eye (the cornea). The flap is then replaced in its original position on the eye. 2. Why go for LASIK? Glasses and contact lenses actually work very well. But, they sometimes get in the wearer's way. Hmm, going swimming? Better get those contact lenses out first, or gingerly get into the pool and make sure the goggles are fitting well with no leaks. Spectacles can fog up when going from a colder to a warmer place, or when having a hot drink/meal. Plus, the field of view is limited to the spectacle frame, and strong spectacle lenses can cause distortions at the edge of the lenses. That is why a lot of people with high spectacle powers prefer contact lenses. Having LASIK done is somewhat like having contact lenses built into the eye, so that one does not have to worry about the daily routine of lens wear, the cost of the lenses, or the dryness and allergies that lenses can cause. For many patients, the best things after LASIK are waking up in the morning to immediate clear vision on opening the eyes, or going to sleep without having to bother about taking out the contact lenses! 3. What is wavefront LASIK? Although our corneas and eyes look round and smooth, in fact there are little irregularities that cause us to see starbursts around stars. We call these irregularities aberrations. Some clinics use the term 'wavefront' loosely, to include wavefront optimized treatments and so on. In fact, wavefront optimized is a kind of standard LASIK that does not take a person's own corneal irregularities into account. True customized treatments are either (ocular) wavefront guided or corneal wavefront/topography guided. Do clarify with your doctor whether your treatment is 'wavefront optimized' or 'wavefront guided', as the former is a kind of standard treatment and the latter is true customised treatment. To be fair, not everybody needs wavefront guided treatments. People who are lucky enough to be born with few ocular/corneal aberrations would do just fine with wavefront optimized treatments. Also, wavefront guided treatments usually take more corneal tissue, so sometimes for people with thinner corneas, wavefront optimized treatments may also be more appropriate. 4. What is the difference between epiLASIK and LASIK? epiLASIK involves surgery that uses a special blade to peel the surface layer of cells off the cornea, then the corneal surface is treated with the laser. In epiLASIK, no corneal flap is made. In LASIK, a corneal flap is made with a special laser called the femtosecond laser. With epiLASIK, only the layer of epithelial cells is scraped off before laser reshaping. As the cells die and are thrown away, the patient has to wait for them to slowly grow back. With LASIK, there is a thicker corneal flap that is replaced at the end of surgery. Repositioning the flap means that there is immediately a healthy layer of cells at the end of surgery, so recovery is much faster than epiLASIK or PRK. Without a flap, epiLASIK patients take much longer to recover than LASIK patients as they have to wait for the surface cells to grow over the cornea. The recovery is like PRK, and vision may take several months to get to its clearest level. In comparison, for LASIK vision is very good the next day and often reaches its best level within 2-3 weeks. Also, with epiLASIK there is a risk that the blade may cut deeper than it is supposed to, resulting in an uneven cornea and permanent blurry vision. That is why I do not perform epiLASIK. If a patient engages in rough contact sports and prefers not to have a LASIK flap, then I would recommend alcohol-assisted PRK (LASEK) or Transepithelial PRK (TPRK). 5. How do I take care of my eyes after LASIK? Immediately after LASIK, the eyes may feel mildly irritated and vision is misty. 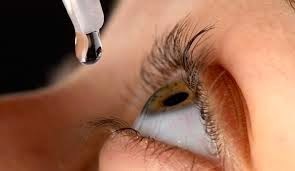 Remember to put the eyedrops prescribed and use a shield to protect the eyes while sleeping. Sunglasses are useful when going outdoors. One must not rub the eye at all, and avoid splashing water into the eyes. Swimming is to be avoided in the first month. Other sporting activities can be commenced earlier, for example, going to the gym should be fine after 2 weeks. 6. Is it true that the eye never heals after LASIK? Although the corneal flap does not stick down and heal to 100% of its original strength, it does heal and after 1 month the flap does not shift even if the eye is accidentally rubbed. In fact the flap is extremely stable after the normal recovery period. There is actually an advantage in this feature of LASIK. If at any point some spectacle power creeps back, the LASIK flap can be lifted, and a minor adjustment/enhancement procedure performed. This can be done provided that the underlying cornea is thick enough. 7. What are the upper limits of spectacle power that LASIK can treat? longsightedness about +5D (500 degrees). In exceptional cases, higher powers have been treated, but the risks are of a small optical zone causing halos and other visual disturbances, or of regression ie some of the spectacle power comes back. 8. (Update) Is there a lower limit of spectacle power that LASIK treats? Generally speaking, the lowest spectacle power that I treat with LASIK is in the region of +/-0.50D. With a lower power than that, most patients are not that bothered by the slight blurring of vision. In special situations, I may treat lesser spectacle powers than that. This applies to patients with irregular corneas, such as after prior refractive surgery or corneal scars, where the measured spectacle power may be low but the visual quality is poor due to what are called 'higher order aberrations'. These patients need special topography guided LASIK/PRK. 9. Who is suitable to have LASIK? 1. People who are between the ages of 20 and 60 are candidates for LASIK if the spectacle power has been stable (no change of 0.5D/50 degrees or more) for a year or more. 2. Younger ladies who are pregnant or breast feeding should wait until the baby is delivered, or until they stop breastfeeding before having LASIK as the hormonal changes may affect their spectacle power and the long term accuracy of the LASIK correction. 3. Patients going for LASIK should not have other eye conditions such as cataracts or glaucoma. Above 60 years of age, the issue is the possibility of cataract developing in the next few years after LASIK. Cataract surgery is another way to correct their spectacle power, so the effect of the LASIK procedure may have been only for a few years. Occasionally I do perform LASIK for these patients, but only if the lenses in their eyes look very clear on examination. With glaucoma, the issue is that LASIK thins the cornea, and this can affect the measurement of the pressure of the eye, which is important in glaucoma. After LASIK, the measurements may show a lower pressure than the actual pressure in the eye, however, as long as the eye doctor is aware that prior LASIK has been done, he can make suitable adjustments and the glaucoma can still be treated. 10. What are the side effects of LASIK? After LASIK, most eyes become temporarily drier during the healing process. This is helped greatly with artificial tear drops and sometimes with plugging of the draining tear channels. Usually the dryness goes away as the eye heals. By 3 months, about 90% of eyes are no longer dry, and by 6 months >95% of eyes are back to normal. Halos are common in the early period after LASIK. This is due to slight roughness of the corneal surface (and interface) as it heals. Most of this early halo effect will disappear within a month after surgery. Some halos persist after one month, and these are commonly due to other problems, such as an optical zone that is too small, decentered optical zone, or other aberrations and irregularities. If these are persistent, corneal mapping (topography) should be done to see if specialized topography guided treatment might help. 11. Can LASIK treat presbyopia (Lao Hua)? LASIK cannot actually treat presbyopia. However, there is the option of 'monovision', which means one eye is fully corrected to see distance clearly, while the other eye is made slightly shortsighted so that it can see clearly at near. Having 2 eyes with slightly different spectacle powers is something most people get used to, and they do not need glasses for most things. Occasionally they may wear distance glasses for certain activities such as driving at night or reading glasses for really close up viewing. 12. Do LASIK doctors go and have LASIK done themselves? Doctors (including eye doctors) are just like any other group of people). Some of them wear glasses, others wear contact lenses, and some of them have also had LASIK done. One well known LASIK surgeon who had LASIK done himself is Dr Arthur Cummings, and you can read his account of it here. 13. What is the best age for LASIK? Please see my previous blog post here. 14. Why did the Taiwanese doctor stop doing LASIK? In February 2012, Dr Ray Tsai announced that he would stop doing LASIK, because some patients developed poor vision many years after their surgery. While the exact problem was not mentioned, he was probably referring to a problem called 'ectasia'. In the past, doctors were not as aware about the signs of corneal weakness, and with older equipment there was a higher chance of making the cornea too weak. In some patients whose corneas became too weak, the normal pressure in the eye caused the weak cornea to bulge outwards. This causes distorted vision and irregular astigmatism. Even if a patient develops ectasia, the process can be halted or stabilized with cross linking treatment, which is like LASIK Xtra but takes a slightly longer time. The important thing is to catch it early. Therefore, if any patient notices that his/her vision is getting blurry after their LASIK, they should get their eyes checked again by their doctor soon. I'm sorry, but I would appreciate it if comments do not include links to other eye clinics. This blog is for the information of patients and the public at large, and does not serve as an advertising or link building platform. Oh My! epiLASIK seems a bit scary. Never knew such a treatment option also existed apart from LASIK. My brother keeps using smartphone throughout the day unaware of its far reaching effects. This lead him to undergo a corrective laser eye surgery from See By Intravision at Oakville three months back for a case of high end myopia. He restricts from using tear drops after the treatment. Is that going to affect his eyesight? I am in my forties with myopia and presbyopia and am considering whether to do Lasik. Recently, I heard from a friend and also googled and found out that a concern about doing Lasik is that Lasik patients tend to have high IOP and so might miss diagnosis of Glaucoma later. Current tonometry instruments cannot get accurate measurements of IOP for Glaucoma suspected patients who have done Lasik. Is this concern true and valid? Firstly, it is untrue that LASIK patients tend to have high IOP. LASIK patients as a group are similar to other people of their age and spectacle power. LASIK itself does nothing to increase the risk of glaucoma. With regard to late diagnosis, theoretically yes, it’s possible, but it shouldn’t and I’ll explain why in a moment. Just to set the record straight, LASIK does NOT increase the risk of getting glaucoma in itself. Just because the cornea gets thinner does not mean that the ‘eyes ability to take high pressure is reduced’. Anyway, that’s an irrelevant fallacy because the vulnerable part of the eye in glaucoma is the optic nerve, not the cornea. Back to why I say LASIK should not lead to a late diagnosis of glaucoma. Glaucoma is a condition that is associated with high pressures in the eye (intraocular pressure, IOP). 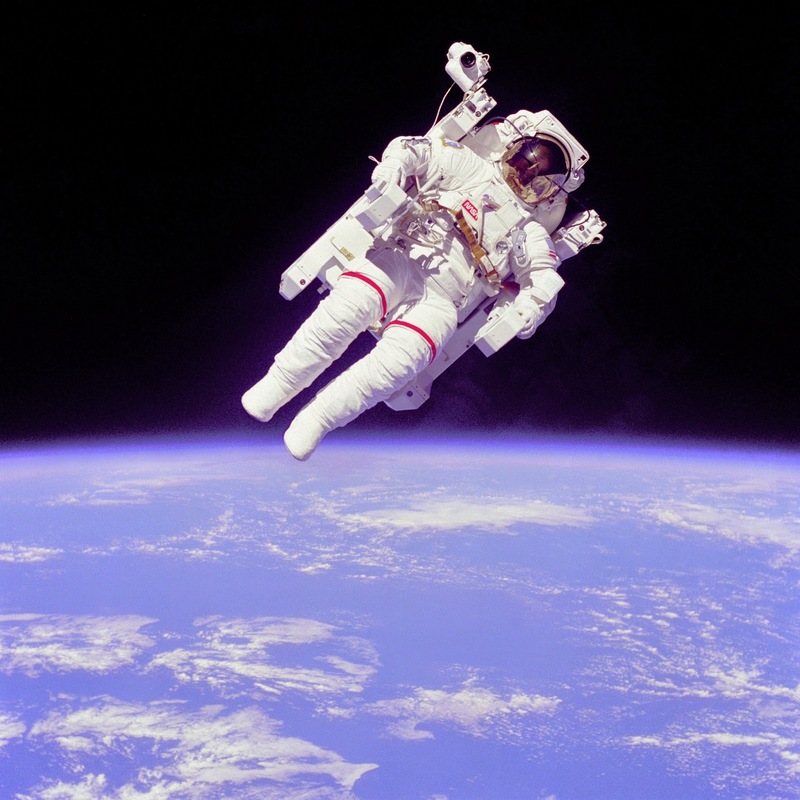 The higher the IOP, the higher the risk of optic nerve damage. LASIK is already widely known to cause a small, variable underestimation of IOP measurement (eg, Effect of Laser in Situ Keratomileusis on Schiøtz, Goldmann, and Dynamic Contour Tonometric Measurements.) . If an eye doctor knows a patient has previously had LASIK, they should automatically pay more attention to IOPs that are ‘borderline’ so to speak-ie in the range of perhaps 18–21mmHg, because the real IOP in such eyes could be higher than what was measured. Also, IOP is not the be all and end all of glaucoma diagnosis. Up to a third of glaucoma patients (depending on the study population) have IOPs that are less than 21mmHg-this is commonly termed ‘normal tension glaucoma’. Therefore in making the diagnosis of glaucoma, we need to evaluate the optic nerve structure and function by performing fundus photographs, OCT of the retinal nerve fiber layer+/-ganglion cell complex, and visual field testing. If these show glaucomatous changes, glaucoma can still be diagnosed despite a ‘normal’ IOP. if a doctor takes note of prior LASIK surgery and does a proper work up that includes a full optic nerve evaluation as mentioned, then prior LASIK should not lead to a late diagnosis of glaucoma. The risk of a late diagnosis can be increased if the opposite occurs, ie that for whatever reason, a less than complete history was obtained and a less than complete evaluation was performed. The bigger issue about LASIK and you is how you would like to address your myopia and presbyopia, because LASIK does not 'cure' presbyopia. If you correct both eyes for distance, you will need to wear reading glasses for all near visual work after LASIK. The other option which many presbyopes choose, is monovision. If you are considering this option, it would be best to try out monovision with contact lenses first, to see if it is something that you can get used to. My left eye power is 675 and right eye power is 500. If I go for Monovision, one eye will be fully corrected for distance vision. Will the other eye used for close distance vision be slightly corrected for distance vision as well? Hi there, usually the eye that is used for close distance vision is left a bit shortsighted only, somewhere between -0.75 to -1.50D (75 to 150 degrees). Hence, it will still have better distance vision (without glasses) than what you have currently. If we take an example of someone with right eye shortsightedness of 500, and left eye 675, and let's say for example that the dominant eye is the right eye (eye dominance can be checked with special techniques, and can be right or left regardless of handedness), then we prefer to correct the dominant right eye for distance. In this case then, the treatment delivered by the laser will be 500 to the right eye, resulting in post op power being 0. For the left eye, for example, we could program the laser to treat 575, therefore leaving 675-575=100 degrees of shortsightedness. This 100 degrees of shortsightedness means that distance vision from that eye is not that clear, but near will be better than the other eye which was fully corrected for distance. The actual amount of shortsightedness left in monovision can be customised according to the patient's needs, and also depending on how they feel with the contact lens monovision trial. It's important to realise that monovision is still not a cure for presbyopia (lao hua), but it helps reduce the need for reading glasses. 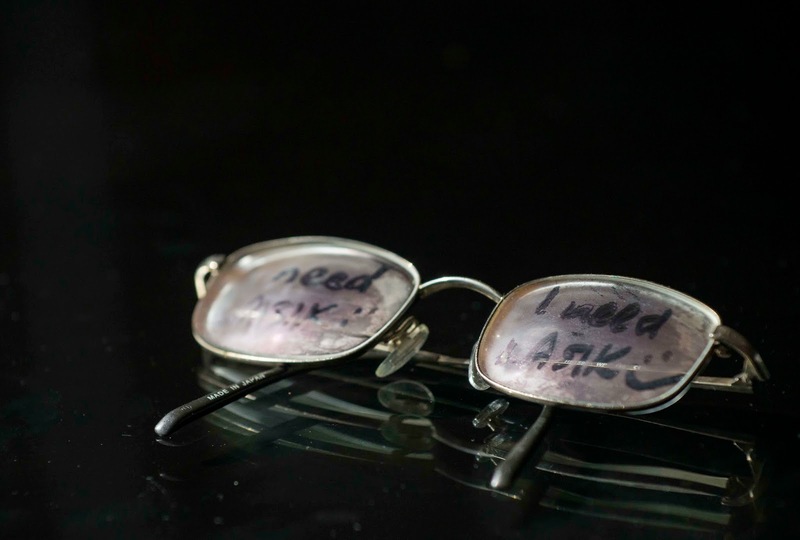 At some point, perhaps in your mid fifties or so, you might find that even with the 100 degrees of shortsightedness in the near eye, reading is not comfortable enough, and get a pair of reading glasses. But the monovision that is present will still be helpful for many activities of daily living, such as putting on make up, cooking, shopping, etc, so that you are not so reliant on reading glasses for all these things. I got a clearer picture now. I have been wearing contact lens for three years. During my last year of wearing, I experienced discomfort whereby my eye hurts even though it's a new contact lens being worn. To describe the discomfort, it's like a stinging pain which goes away after some blinking. It's the same feeling I get after prolonged wearing of contact lens. However, my eyes do not turn red. May i know if there is a term for This? Am I still suitable for lasik? If Yes, which kind?